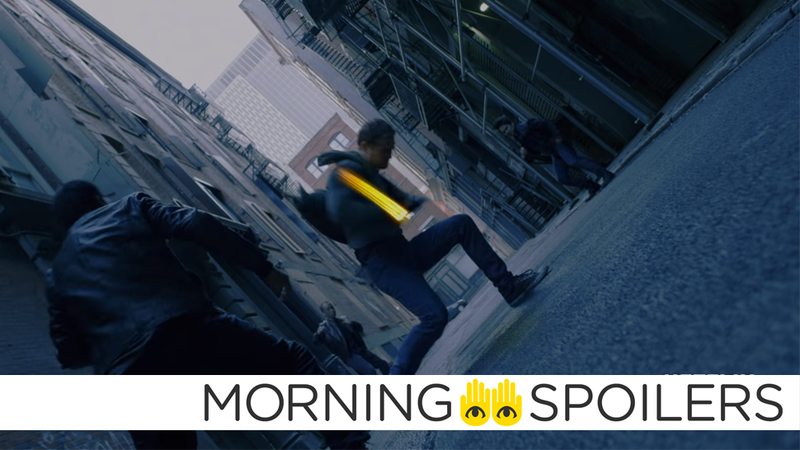 Danny Rand shows some muggers the hand in Iron Fist season 2. Jamie Foxx discusses his long road to joining Spawn. Get a look at the armor, villains, and giant crab men of Aquaman. Chloe Bennet teases hair-based changes for Agents of SHIELD’s next season. Plus, what’s to come on Cloak and Dagger, and fleeting teases for Walking Dead and Fear the Walking Dead’s Comic-Con news. Spoilers now! Screen Rant asked Nathan Fillion to weigh in on recent rumors he may be playing Booster Gold in the DCEU. Samuel L. Jackson is back as Mr. Glass in the latest teaser. Last night’s San Diego Comic-Con panel also conformed that Alice Eve will play Typhoid Mary, a brief romantic interest of Matt Murdock’s, who eventually becomes a recurring Daredevil villain with a host of psionic superpowers. In addition to Lena Headey and Johnny Rotten joining the supporting cast, more new villains includes Rhys Darby as Hypno-potatmus, Jorge Gutierrez as the monstrous Ghostbear, Fred Tatasciore as the excellently-named Repo Mantis, Tom Kenny as the animatronic Alberto, John Michael Higgins as the mutant earthworm Warren Stone, and Tim Simons and Sam Richardson as a pair of inseparable minions named Huginn and Muninn. Additionally, Rob Paulsen and Maurice LaMarche (Pinky and the Brain themselves!) have been cast as two high-ranking members of the Foot Clan with flaming heads. AMC has released a quick teaser for the full San Diego Comic-Con trailer coming later today. ...and finally, here’s the same for Fear the Walking Dead.